Here is a handy list of common fish names that begin with the letter W, cross-referenced to their scientific names, from the Warmouth to the Wolf Tetra. Wallago Catfish - Wallago attu: Wild species of this fish have been found with birds, amphibians, small mammals and even remains of people in their stomach! Keen these alone in an aquarium, because even a single fish will eat any fish it can fit in its spacious mouth, and will usually kill anything it that it can't consume. Warmouth - Lepomis gulosus: The warmouth resembles a bass. It has a stout, compressed body and a large mouth which can eat the bigger bait. It's a very hardy and aggressive and hardy fish, and it's found in lakes, ponds, rivers and backwater streams where they can often survive with low oxygen levels. Weather Loach - Misgurnus anguillicaudatus: This is a large fish that can grow to 10 inches as an adult and it can be very active. It needs sufficient space to move around and a fine substrate as it's a digger and will bury itself with just the head protruding. Werner's Panchax - Aplocheilus dayi werneri: Werner's Panchax is a predator, although it won't attack fish too big to be considered prey. It likes low light and lots of hiding places. It's also an accomplished jumper, so keep a lid on the tank. 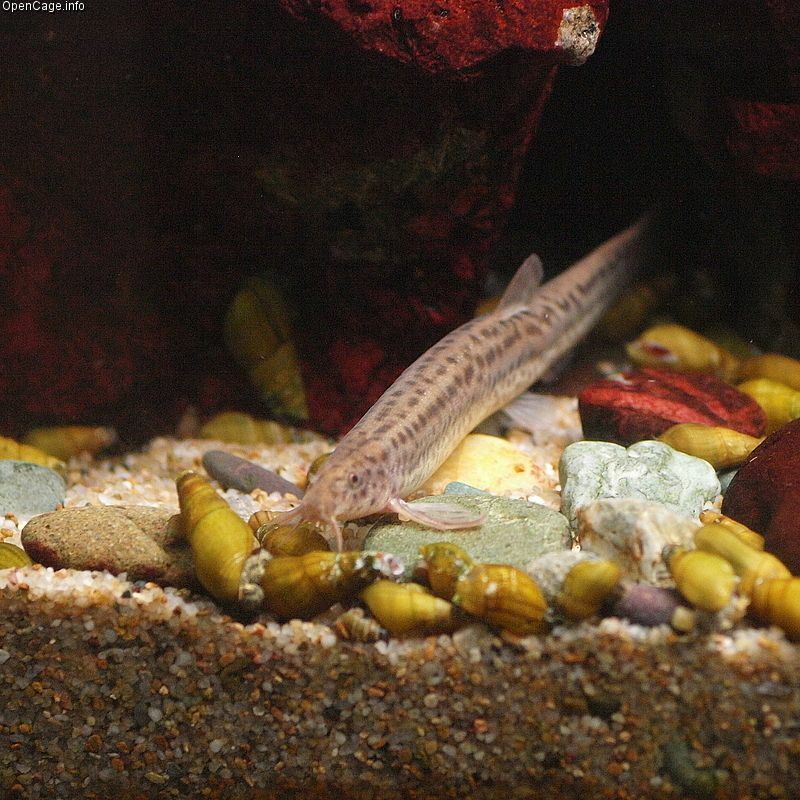 West African Bichir- Polypterus retropinnis: This species does best in an aquarium with other large, passive fish. It needs lots of open swimming areas, crevices, and rocks. It's a semi-aggressive fish as it will swallow any tank mate it can fit its mouth, but they are very passive with larger fish. West Australian Pygmy Perch - Edelia vittata: Pygmy perch can live safely in an aquarium with tropical fish. They are also safe with tadpoles, so they are often used in frog ponds to control mosquito larvae. Western Mosquitofish - Gambusia affinis: Mosquitofish were brought into areas with large mosquito populations to eat the mosquito larvae in order to reduce the population. They are also aggressive and prone to killing or injuring other small fish. Mosquitofish are now thought to be only a bit better at eating mosquitoes than they are at destroying other fish. Whiptailed Banjo Catfish - Platystacus cotylephorus: The species has a unique form of egg incubation: The female banjo catfish carries the eggs attached to the underside of its body. White Cheek Goby - Rhinogobius wui: The males of this species may spar with one another, but if the tank is large and has enough hiding places, this aggression won't be an issue. Most of it's all for the show about territory. If you have a smaller tank, however, keep only one male-female pair together. What Are Common Fish Names Beginning With E? What Are Common Fish Names Beginning With K? What Are Common Fish Names Beginning With J? How Many of These Fish Beginning With M Do You Know? Fascinating Fish That Begin With The Letter "I"
What Are Common Fish Names Beginning With H?